If Rip Van Winkle woke up to the rising sun in Japan today, he’d be greeted with all round euphoria enveloping Japan’s markets after a 25 years’ lull. The bursting of the real estate bubble in the early 90s and the consequent deleveraging by banks ushered in an era of ultra-conservatism where households and corporates alike, built huge cash buffers (currently ~$ 200 billion and $2 trillion, respectively) reluctant to spend on virtually anything. As a result, corporate earnings trended lower, propped up only by exports supported by a weakening yen. Weak corporate growth encouraged more part time workers than full time workers, whose wages also stagnated lowering their purchasing power thus constraining consumption. To add, full time workers have traditionally preferred job security over negotiating upward wages. Weak consumption left companies with weak pricing power to engage in any price competition exacerbated by weak executive competition to go the extra mile. This added to a lack of debt/equity governance demands directly impacting their net profit margins and hence return on equity. While asset turnover and financial leverage remained less influential factors, declining margins took a toll on return on equity (ROE) falling below its global peers translating into weak stock prices. Thus, corporate Japan became earnings poor but cash rich. So, what’s changed sentiments as evidenced more recently this year? Driving a change of heart are a multitude of reasons: Japan’s GDP growth for seven quarters in a row (the longest spell of uninterrupted growth in 16 years. ), better than expected earnings, a weakening yen boosting export earnings, the current tech boom, Bank of Japan buying ETFs of blue chip stocks and its continued quantitative easings-all spurring the momentum from foreign investors (that historically account for approx. 30% of Japan’s stock markets) staging a comeback. However, beyond what meets the eye, the economic and market malaise has begun to dissipate in the last three years due to concrete steps taken by companies in response to new corporate policy initiatives (see “Opportunity” below for examples) that have been a top priority for the Abe administration. In 2015 the administration introduced the Corporate Governance Code (GC) that followed the Stewardship Code (SC) announced the previous year. The GC code lays out 73 principles that companies in the Tokyo Stock Exchange -TSE 1st and 2nd set are expected to comply or explain. All TSE companies are complying with at least the 7 core principles and over 90% are complying with at least three fourths of the remainder 66 principles. The SC empowers institutional investors to recognize their rights and push companies (as opposed to remaining passive investors) to raise profitability and abstain from supporting management of companies with less than 5% ROE. Taking a step further, the JPX 400 index (Shame Index) was instituted in 2014 that admits companies with global investment standards, efficient use of capital (a minimum 8% ROE) and those considered shareholder-oriented. Historically, Japanese firms have placed greater importance on other stakeholders (employees, customers, suppliers) over shareholders. According to a 2017 University of Toronto/Harvard Business School study titled “Governance Through Shame and Aspiration”, “index-inclusion incentives have led ﬁrms to increase return on equity proportionally by 41% on average, via higher margins, eﬃciency, or shareholder payouts, depending on where they had slack. These incentives are driven by the prestige associated with the index, rather than direct-pecuniary or capital-market beneﬁts. Back-of-the-envelope estimates suggest that the index-inclusion incentives accounted for 16% of the average increase in aggregate annual earnings and 20% of the growth in aggregate market capitalization over June 2014-June 2017”. With Mr. Abe’s recent success at winning a super majority in the parliament, the ability to continue this corporate reform path (as well as monetary and fiscal stimulus) has been further strengthened. In a nutshell, the climate for corporate reforms continues to be conducive for value creation. The traditional mind would probably be quick to subscribe to the indiscriminate “buy” flashing across tabloids to jump on the Japan bandwagon hoping to ride the wave of corporate reforms and economic recovery by indulging in autos, electronics, IT, machinery, banks etc. that dominate the indexes. However, these yen sensitive sectors expose one to significant volatility in earnings and thus stock prices tied to Yen fluctuations. To probably avoid this, one might even consider small cap public equities hoping to get into more domestic and less export oriented names. The historical evidence especially since the financial crisis again points to the negative correlation to yen of small caps like large caps implying that yen weakness is key to the positive experience in Japanese stocks. 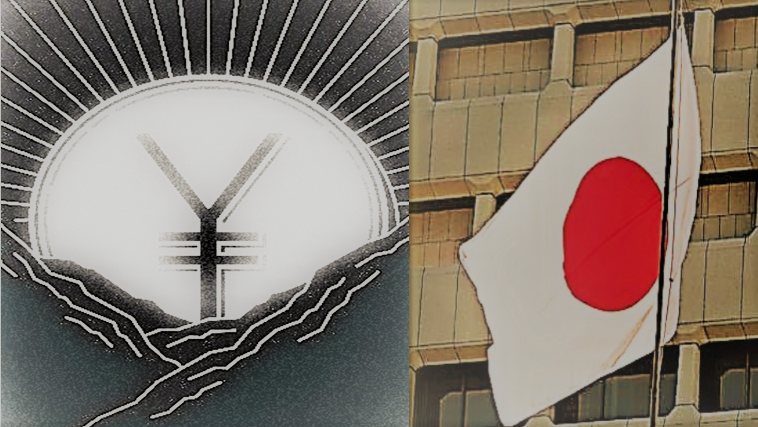 Therefore, unless one wants to wager on Kuroda’s yield curve control, BOJ’s stance toward a weak yen and fiscal stimulus (all macro/global issues), sophisticated investors could potentially seek other ways to mute macro influences and capitalize on the revival of corporate Japan on the merits of more stock specific idiosyncratic factors. In this regard, one such attractive avenue is the domain of smaller companies with $100 million- $1 billion market cap that comprise 30-40% of the ~3500 companies listed on the Tokyo Stock exchange and smaller exchanges (JASDAQ, Mothers etc.) many of which are quite undervalued on EV/EBITDA, Price to Book or even Discounted Cash Flow basis. Smaller companies are relatively under-researched as Japan’s anemic state saw overall research and coverage retreat from the region. Carefully hand-picked small companies operating in more domestic/defensive sectors (e.g. services, media, foods etc.) relatively insulated from yen swings, are favorable prospects especially if these companies are equally induced (Japan being a conformist society and the launch of the JPX-Nikkei Small and Mid-Index in March 2017) to follow the success path of their large cap brethren but often lack knowledge. While some might still be reluctant to pursue new value drivers at first, they make suitable candidates for conversion if “engagement partners” with minority stakes (5-15%) are willing to engage with management and educate them/provide financial literacy toward achieving strategic milestones over 1-3 years potentially realizing mid-high teen IRRs (net USD). As with larger companies, healthy balance sheets of smaller companies with lots of cash, provide the ammunition to impact stock values through financial engineering more quickly: stock buybacks, dividend increases, stock splits, R&D spend, capex, etc. For sure, we recognize the virtues of cash (is king) going by the massive boost it has provided to US equities through buybacks and dividend increases in recent times. In Japan, some managers speculate that Financial Services Agency (Japan’s financial regulator) might also tax excessive cash in the future. Smaller companies are considered good candidates for better corporate governance practices, by appointing independent directors (at least a third of the Board), splitting the role of Chairman and CEO etc. improving their disclosures, transparency, and investor communication etc. that have helped close the valuation discount for larger companies. Other areas for value enhancement are corporate actions (e.g. graduating from smaller (TSE2) to bigger exchange (TSE1), acquiring a competitor/strategic partner, doing management buyouts etc.) and operational improvements (business development, joint ventures for new markets, products, marketing, cost cutting, etc.) directly benefitting profit and loss statements and cash flows on a more sustainable basis. Adding to local factors, the lure of low interest rates and relatively more acquiescent boards has ushered in global private equity firms with their overflowing war-chests to do leveraged deals by taking significant equity stakes especially in larger companies (Toshiba, Hitachi, Panasonic) facing productivity issues. Local investors acknowledge that in some ways presence of global PE firms has tightened governance to bring to light (e.g. over-stating quality as in Mitsubishi Materials, Kobe Steel, Nissan) issues that would have remained hidden in the past. This could potentially raise the bar for large and thus smaller companies too. However, their arrival also creates a body of financial buyers for operations/businesses that an engagement partner could look to sell, if a family controlled business lacks a scion, a result of an aging society with declining fertility rates to produce a successor. As with any opportunity, there are associated risks (besides regional political risks) which include the risks of falling into a value trap, the inability to penetrate the minds of management to accept change creating execution risk, the potential market illiquidity of smaller cap. names, the potential threat of being accused of insider trading/manipulation of stock price, the dilution of cash balances before agenda is executed etc. Overall, the potential for value enhancement in smaller companies (less Yen sensitive household names) appears attractive and timely with the re-election of the Abe administration promising continued corporate reforms, compliant large companies acting as role models and the availability of multiple drivers for closing valuation discounts. A small segment of local engagement partners with local networks and expertise are well-positioned to tap into the opportunity set of smaller companies targeting mid-high teen IRRs (net USD) with an embedded margin of safety (deep value approach) thus warranting a closer examination. Sophisticated investors interested in learning more about the opportunity and exploring due diligence (with a peer-sharing of audit fees) with ÊMA, of local engagement partners, are advised to click on “PDF Download” (for an ÊMA authored whitepaper on this topic elborating the background, opportunity, and landscape of local investors to implement the strategy). ÊMA shall continue to remain responsive to investors’ continued search for return premiums and with its independent audit process, prepared to diligence niche opportunities as discussed above even though some (as this one) might not technically qualify as EM opportunities but appear as attractive nonetheless. Stay tuned. Here’s wishing you and yours the very best this holiday season and many rising suns for 2018!